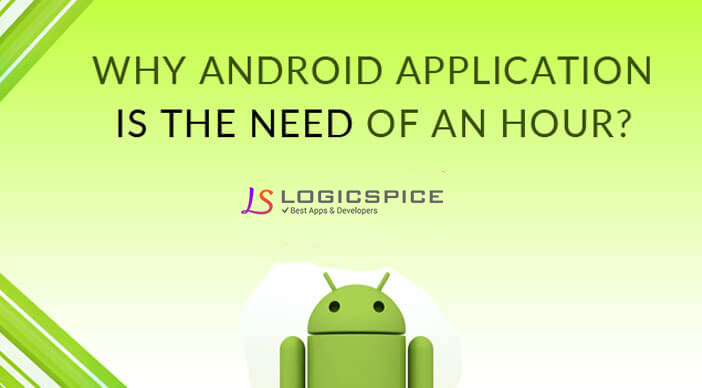 Why Android Application Is The Need Of An Hour? Android operating system is that one platform, which is used most by the mobile users across different parts of world. When there are numerous users of Android, its obvious that their needs and expectations would also be different. The simplest way to fulfill these needs of mobile users are from Android Applications which companies are trying to do in a full fledged manner. The increasing demand has created a whole new pool of opportunities for the Android developers to showcase their capabilities and attract more and more users towards their creations. In addition to this there are numerous other reasons that are attracting mobile application development companies to feed their focus more on Android development. Most of the business holders besides launching a website for their business are tending towards mobile applications for their target audience so that customers have a ease in reaching them. As most of the users are using Android phones it is obvious that business holders will focus on building a website for android as by this they will be reaching more customers and can target more customers. In addition to this no fees has to be paid for Android App development therefore one can create as many application as it want to make an showcase. Most of the Android app developers are working constantly on their applications to make them big free and more efficient for their users. By doing so they are building their brand name in the world of developers and are attracting business holders who are looking for a proficient android application developer, as the sort of work a developer has done is the reflection of its capabilities and skills and thus is the best way to build demand. If one is looking for inter application integration then android application development is the easiest medium to do so. Android operating system is also a significant platform to combine many applications and create a cross promotional event for users. Possibilities of an application to get crash are minimum as it works on Linux kernal and it assures high performance and stability. If one performs the customization part of the application in an efficient manner then this platform is the significant platform to take business at higher position. The competition in market is increasing day by day and in order to maintain a sound position in the market mobile app developers should focus on creating exclusive applications for the users that are easy to use, attractive in looks and performs activities at higher speed. Keeping in consideration the market needs and trends development of android application can turn out to be positive sign for your business and helps in building a brand image among users. For efficient development, one must go for experienced and qualified android developer by determining the problem solving ability of the developer because it is the time where quality is more valued then quantity.